I recently bought a new 1.5TB Caviar Green Western Digital hard drive to serve as a backup for my music, movies and photos. This replaced two aging 7200RPM drives that had started showing chkdsk errors. I decided to go with the “Green” edition since I didn’t need stellar performance at the cost of more heat, noise, and energy usage. When Newegg had it on sale for $95, I pulled the trigger. When it came, everything worked perfectly: benchmarks checked out, chkdsk reported no errors, and the AHCI driver booted faster than it had before. Everything seemed peachy until I resumed my system from sleep and noticed the drive was mysteriously missing. It didn’t show up in My Computer, in Device Manager, or in the Disk Management section of Administrative Tools. I assumed that either the SATA data or power cable had somehow come unplugged. I turned it off, and opened the case–cables were fine. I turned it back on, drive reappeared. Weird. The next day, I had the exact same problem, though only after I resumed the computer from sleep. When I restarted the system, it reappeared. Weird. I knew that it probably wasn’t a cable problem because SATA is hot-swappable, so I poked around on Google and found a few other people with the same problem. Eventually I found this post, which claimed that installing a hotfix from Microsoft fixed the problem. Apparently, Windows normally throws a stop error if a hard drive takes longer than 10 seconds to spin up after resuming from sleep. The hotfix prevents this behavior. Checking the S.M.A.R.T. 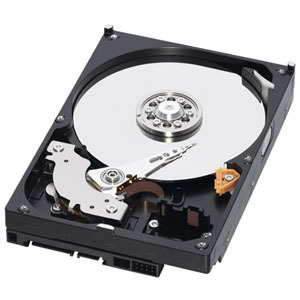 data from the drive, the disk claimed that it had a spin-up time of 5967 milliseconds–a far cry from the 10 second threshold used by Windows. Even though everything didn’t entirely make sense, I installed the hotfix to see if it would work. Success! The drive hasn’t disappeared since I applied the patch. I suspect that the “GreenPower Technology” in the disk’s controller delays or lengthens the spin-up time to use less power. This trips the 10 second limit imposed by Windows, and the drive disappears in a puff of smoke. See Microsoft Knowledge Base 977178 for more info. I can’t say for sure, but this fix probably also applies to any cases of disappearing WD10EARS or WD20EARS drives as well.